Absolutely! Find out the best way to visit Rome with kids, whether toddlers or teenagers, and find out all the cool things to see and do. And most important of all, find out what's free and discounted! In nearly 20 years of helping visitors plan their stay in Rome - from our B&B guests to friends and family - I have had the pleasure to experience Rome with kids of nearly every age and interest-level. They are, of course, all different. Is it ok to eat out with kids in Rome restaurants? What are some of the best activities in Rome for kids? Can children ride the Metro/Bus for free in Rome? What discounts do kids get at Rome sites and museums? Should you get the Roma Pass for a child? What's the best area to stay in Rome with children? What are some child-friendly hotels in Rome? Where can you take your kids to a pool in Rome? I'm not sure why but this is one of the most popular questions I hear about Rome for kids. At one of my favorite Sunday-lunch spots, Dal Toscano, families bring everyone and enjoy the long Sunday lunch. Here we have babies and toddlers, and grandparents to entertain them! In general, Italians tend to love children. They dote on them and give them lots of leeway to be kids. Children of all ages are welcome in most restaurants in Rome and other parts of Italy. Depending on the age of your child, you can ask for a high-chair (seggiolino in Italian) if you need to. Sometimes you will see a "Children's menu", but most often, you won't. Many Italian children just eat what grownups eat, Roman cuisine. If you are looking for simpler fare, check on the menu for the Contorni (side-dishes) section. You'll find veggies and usually roasted potatoes. Cacio e pepe is a very popular dish with kids. It's the Roman version of Mac n Cheese! Besides enjoying a sit-down meal in a Roman trattoria, you may also want to enjoy some typical street-food. This includes pizza by the slice, supplì (rice-balls), gelato, and lots of other delicacies. One excellent way to have fun with kids in Rome is to go on a street-food tour with them. You will all enjoy it, and get to know something about Roman culinary traditions to boot! 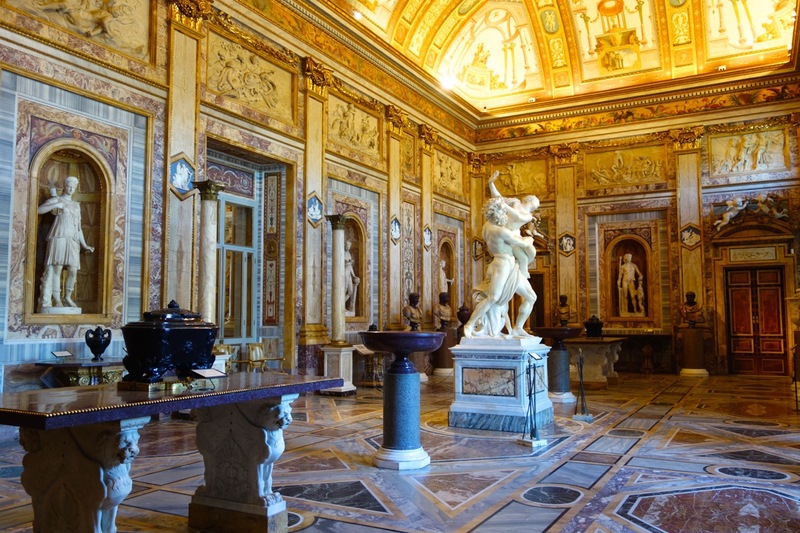 There is something to do in Rome for kids of all ages. Obviously, it depends on whether you are visiting Rome with toddlers, pre-teens, or teenagers. When my sister and I were little, aged 3 and 5, my parents drove around Europe in a VW van (sorry I don't have pix, this was pre-instagram). And they said, we are only going to visit zoos and parks. They did not take us to any museums or archeological sites. They said we loved it, and they did too. You can do this in Rome. We have a huge amount of green space, and lots of large, beautiful parks all over the city. We also have a zoo (which I've never visited). So if you are in Rome with small children, and want to follow in my parents' footsteps, you can. On the other hand, of course you can, and should, visit all the Rome must-sees with kids. Depending on their ages, and also their interests, here are my recommendations for how to visit Rome's top sites with kids. The Colosseum is not a great place to bring a stroller. If you use a stroller and need it for visiting other stuff later, I recommend bringing a lightweight, fold-up one that you can easily carry. Consider limiting your visit to just the Colosseum. Your ticket includes a visit the the Roman Forum/Palatine Hill. And while I am a huge fan of these sites, in my experience, children under, say 16 or so, get tired/lose focus once they've done the Colosseum. The Colosseum itself doesn't take much more than an hour, but there is getting there, standing in the security line, and then touring the monument itself. It's fantastic, but after that, usually kids seem to want to do something else. Like eat. Obviously, you all should be wearing the most comfortable shoes and clothing you can. I strongly urge you and your kids not to walk around Rome in flimsy flip-flops. Since now you must book a date and time for the Colosseum, I recommend going first thing in the day and getting this "out of the way." This way, you can use the rest of the day for other activities, or for just toodling around. Bring a water bottle. You can fill up around Rome, and also inside the Colosseum. Because the best part of visiting the Colosseum is hearing the history and the stories, I really recommend you visit with a knowledgable and fun tour guide.